The gospel writers paint a vivid picture of what it was that Jesus did while he walked this earth. 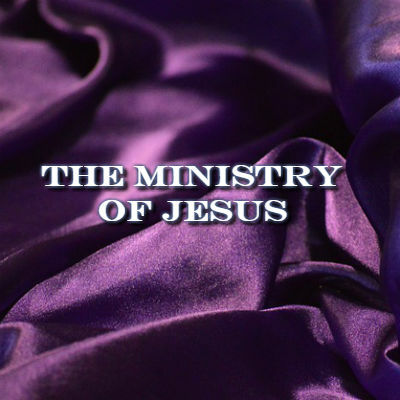 I would like to take you on a short journey looking at the ministry of Jesus. Before Jesus came to earth, the Jewish people were expecting the coming of the Messiah (anointed one of God). There were many prophecies regarding the messiah regarding his identity and his role. The prophet Isaiah informs us the type of ministry the messiah would be involved in. Isa.61:1-2 Notice that the Messiah would be anointed by the Spirit of Mighty God to do this ministry. The Spirit has anointed me to ministry. – To proclaim the year of the Lord’s favor and the day of vengeance of our God. -Preaching the good news of the kingdom. This indeed was the year of God’s favor on those who benefited from the ministry of the Messiah. Summary of Jesus’ ministry (Matt.9:35-37) Here once again Matthew reminds us of what Jesus’ ministry was all about. Verse 36 When Jesus saw the crowds, he had compassion on them because they were harassed and helpless, like sheep without a shepherd. Compassion (to be moved in the inward parts) Jesus was moved by the condition of the crowds. You may not be able to serve people if you don’t possess this quality of compassion. Jesus showed concern for the crowds; he was moved by their situation. There is a lot of work to be done but only a few workers. Pray to God to send out workers into his harvest. Jesus let his followers know about how huge the task is and the need for more workers. Pray to the Lord to send out workers into his harvest. Jesus empowered the apostles to do ministry. Jesus gave them authority to drive out evil spirits, to heal the sick. Jesus sent them out to serve in the same way he was. Jesus preached, taught, healed and drove out evil spirit and he empowered his disciples to do the same. More workers were being sent into God’s harvest. The church has been empowered by Jesus to proclaim the good news, to teach others about God’s kingdom; to bring healing to those who need it; to liberate people from the power of the devil; to show compassion to a helpless world; to restore broken hearted, to announce the God’s favorable year is here. You church has been called, empowered and released to ministry in this world.